In this medical ethics case, a fourth-year medical student making hospital rounds with an attending physician and several residents is asked by a family member of a patient to pray with her. 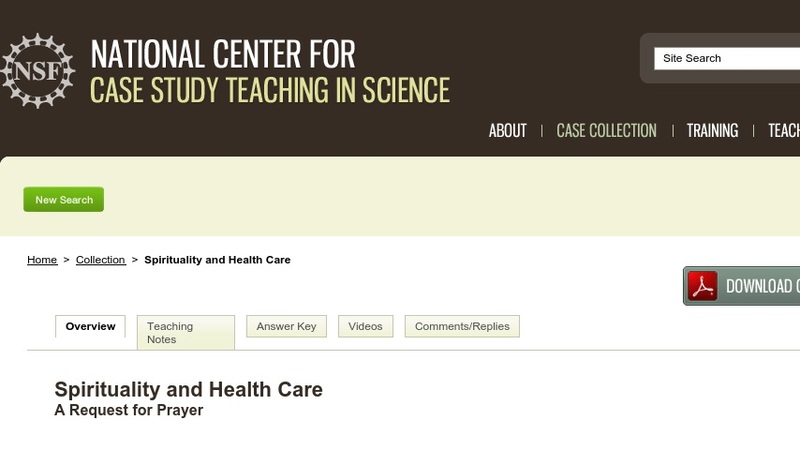 The case allows medical students to explore issues related to patients’ religious beliefs as they think through how they might respond to different expectations and requests they may receive from patients and their families in their professional career. The case is appropriate for use with medical students in all four years of training as well as interns and residents.